Turbo engines like the one in my XC60 can benefit significantly from aftermarket tuning. Often there is still a lot of headroom in the tune to extract a significant amount of power that the factory has “hidden away”. In the case of Volvo, this can be unlocked by purchasing the (expensive!) Polestar Optimization for your car. Previously, it was possible for aftermarket tuning companies to apply their own optimizations to extract this power. 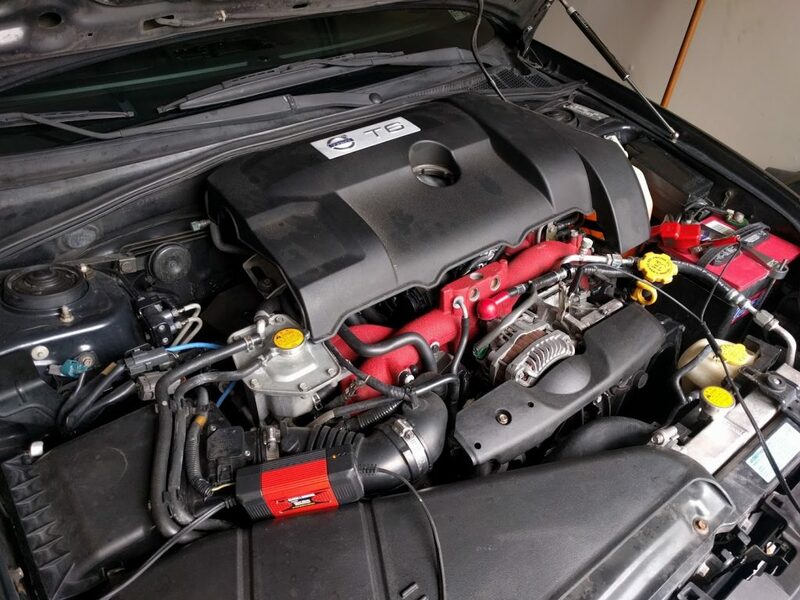 However, the ECUs (Engine Control Units) of P3 Volvos are now locked down with a vehicle-unique PIN that only the Swedish mothership has, making it extremely difficult for aftermarket companies to access the computer and modify the tune. Hilton Tuning has discovered a method of tuning of extracting the PIN and then modifying the software on P3 Volvo vehicles. As soon as Robert had this figured out, he sent me an email and asked if I wanted to try it out. In the interest of full disclosure, Robert offered me a discount on the tune in exchange for reviewing the tune and the tuning process on my 2010 XC60 T6. The tuning process for my 2010 took significantly longer because the 2010 had significantly different structure in the ECU image that took Robert more time to decode and develop a tune for. End-to-end the process from purchasing the tune to when we had it all setup on the car was around 4 months – he’s assured me that on cars he already has worked on the turnaround is much quicker, usually within a week or so.